We purchased our Heartland Landmark is luxury 5th wheel measuring total 41′ 6″ in December of 2015. The “365” indicates that the Landmark is a full-timers’ coach. Liberty was an ‘all electric’ coach however, since owning her, we’ve modified her electrical components and energy management system to enable us to enjoy boondocking. 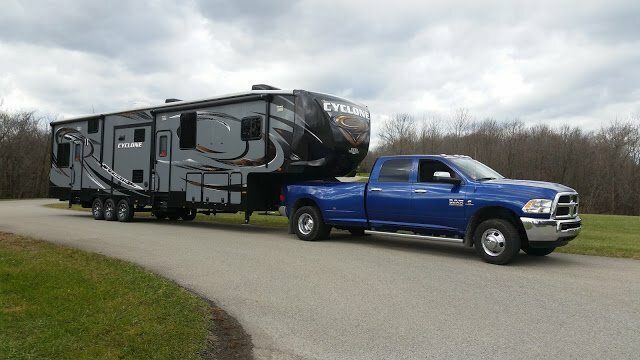 Before acquiring our Landmark, we owned a 2014 Heartland Cyclone 4100 5th wheel toy hauler. She was 44′ long with an 8′ extension ‘party deck’ (garage ramp that was suspended by cables) off her stern. We purchased the Cyclone to haul our two Harley Davidson Softails in the garage. 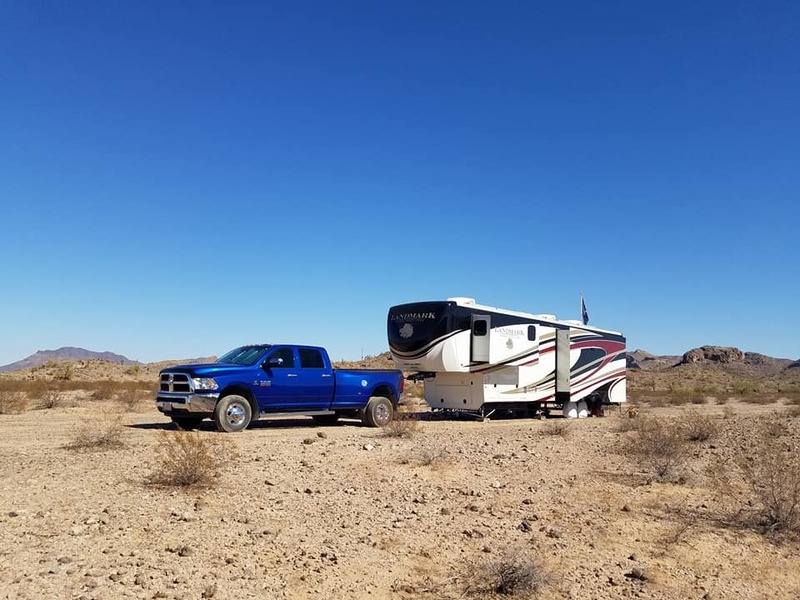 After a year and a half on the road, we reevaluated our lifestyle, sold our Harleys and traded her in for a full-time luxury fifth wheel. 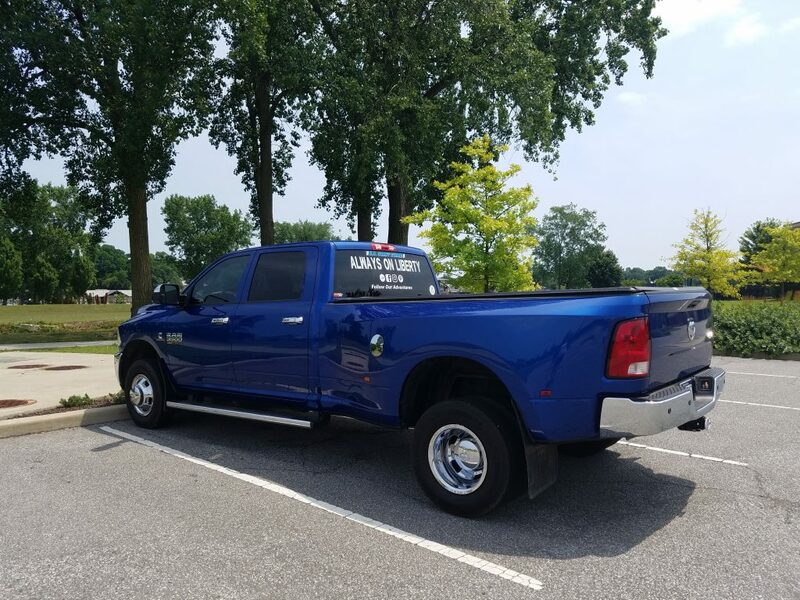 Liberty is pulled by our 2014 Ram Cummins Diesel Dually. 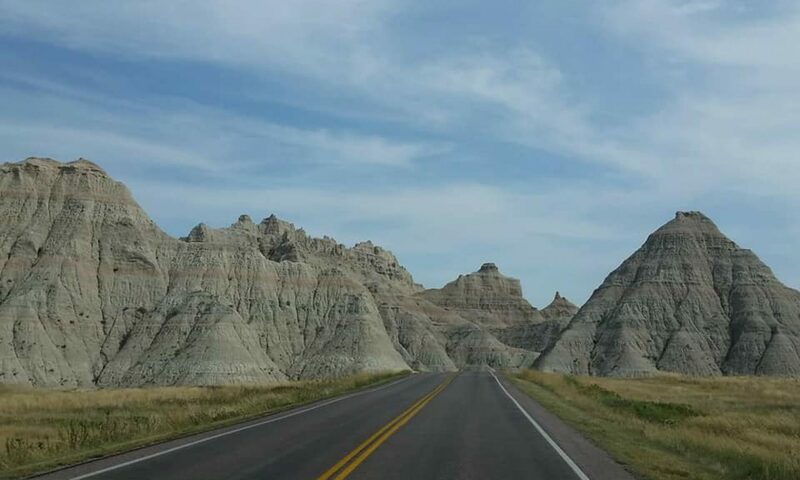 We named Captain America because he’s strong, sturdy and is our super hero on the road. His towing capacity rates at 30,000 pounds. He’s equipped with a 24,000 pound CURT Q24 hitch system. Captain America has also a self-installed 35 gallon auxiliary diesel fuel tank in the truck bed.